This was the last anniversary celebrations that Chennai Runners celebrated inside Anna University. We were growing in size and it was starting to attract unwanted attention the AU security staff. We perhaps had over 200+ folks joining for the anniversary celebrations. 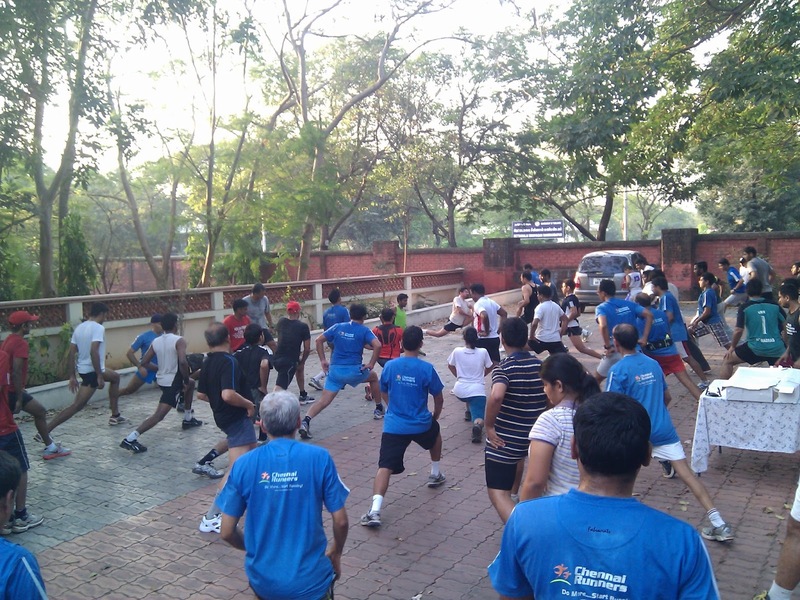 Before the run, we had stretching sessions led by Vidyuth and others. Notice the TShirt, still the first generation ones we had released in 2009 - 10 time frame. Since then, there have been at least 3 other editions of the CR TShirt not including the ones done by the chapters independently. 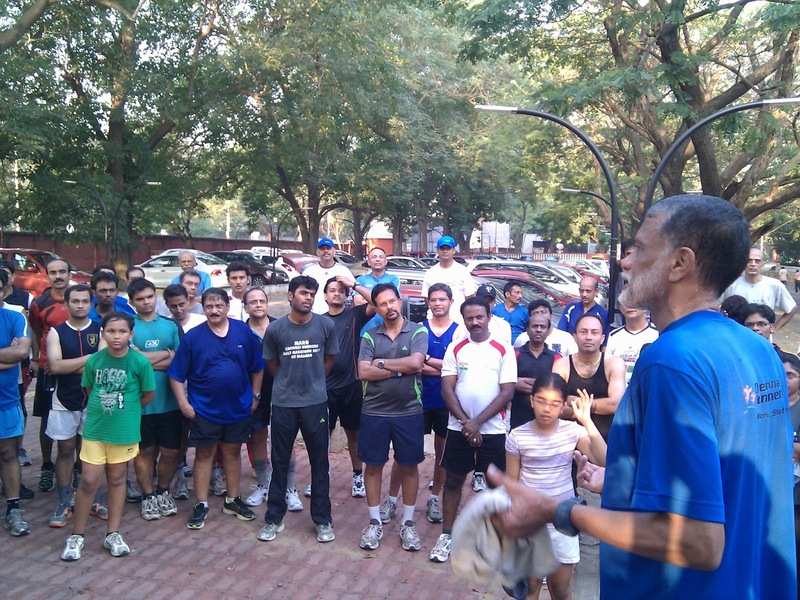 After an easy 5k run, we had Arun, Naveen and Naresh as guest speakers. Here is a a little known trivia about Arun Krishnan.. He was part of the first bunch that started running movement in chennai, much before Chennai Runners 2.0 was born. Naresh, a globe trotter (hiker) is now in US and Naveen is in Canada via West Indies. Once a Chennai Runners, always one..
And the customary breakfast at Anna University canteen. 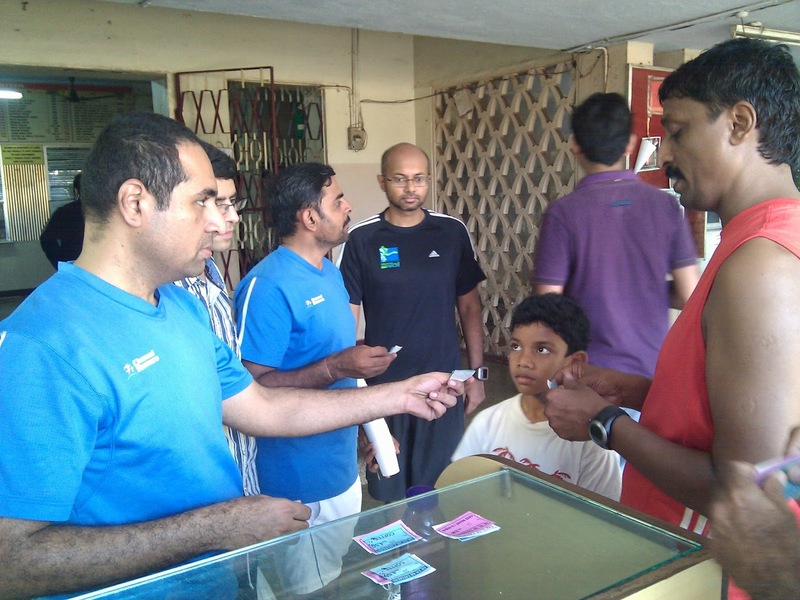 We had KP incharge of distributing coupons. Also seen are Senthil, Shankar, Shahid and VPS. 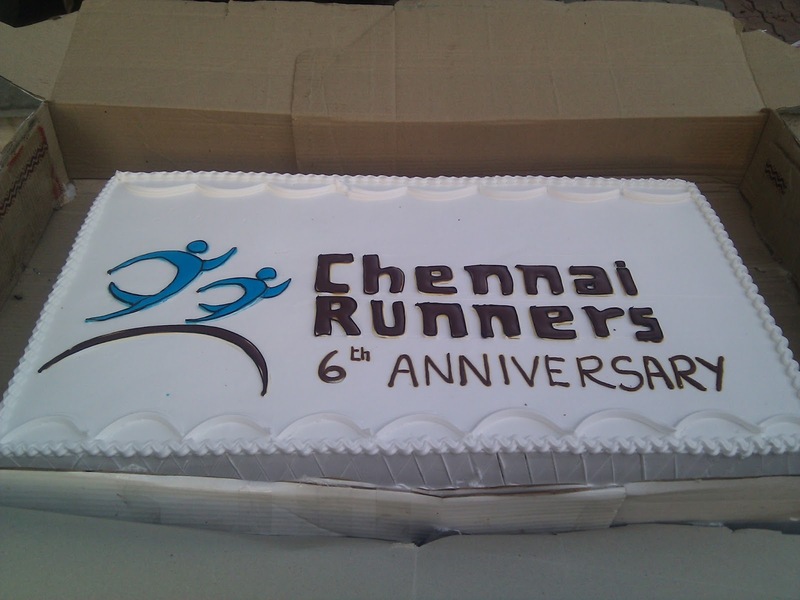 Do you know where Chennai Runners celebrated 7th anniversary?